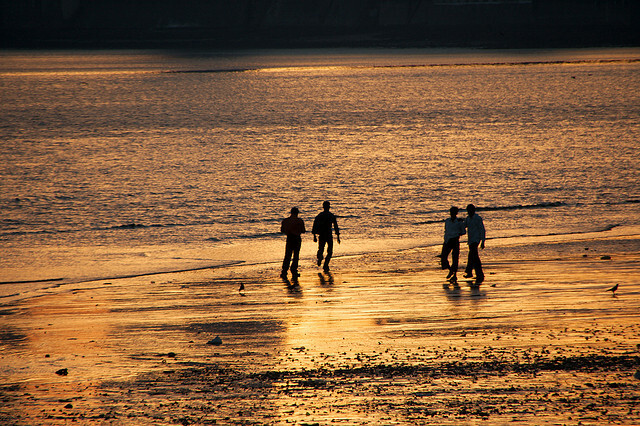 Kids play on Chowpatty beach, in Mumbai, India. Photo by Christian Haugen. Happy World Water Day 2013! In the inconceivable event you were caught unawares for the past twenty years, in 1993 the UN General Assembly designated March 22nd as an annual day to raise international awareness of water conservation issues and recognize the importance of protecting one of the earth’s most vital natural resources: water. This year’s theme is: the International Year of Water Cooperation. In honor of World Water Day, TheCityFix is dedicating this week’s Friday Fun to the ubiquitous two hydrogen, one oxygen molecule that powers lives, cities, and civilizations — scouring the globe for the world’s best nautical commutes. Where would we be if we failed to mention the the “Floating City,” the “Queen of the Adriatic”: Venice. Perhaps it is fitting that we nominate Venice on World Water Day. Climate change and rising sea levels continue to threaten this nearly 1500-year-old UNESCO World Heritage site, which, according to the Scripps Institution of Oceanography at the University of California-San Diego, is sinking at a rate of 2 millimeters per year. For the most uplifting experience, try Hong Kong’s TurboJet water taxi, which operates a round-the-clock hydrofoil routes between Hong Kong and Macau, among other destinations. What could be more relaxing (or exciting) than sipping a cup of Turkish tea, halfway between Europe and Asia, while watching the Hagia Sophia, the Blue Mosque, the medieval Galata Tower, and other historic treasures of Istanbul float by. It can hardly get greener or healthier than muscle-power, and Londoner James Sweetman has turned the canals of London into his own expressway. For more information on water conservation and an endlessly interactive map detailing global high-risk zones, check out WRI’s AQUEDUCT, at aqueduct.wri.org, or this interactive and informative infographic, unveiled for World Water Day 2013 by AbleSkills and Charity: Water, on the global importance of clean water sources: “Why Plumbers are Heroes”.